Senatorial candidate Angelo Castro De Alban is the youngest to run for senator this coming election. He is running as an independent candidate. De Alban is a Professor and Lawyer by profession. 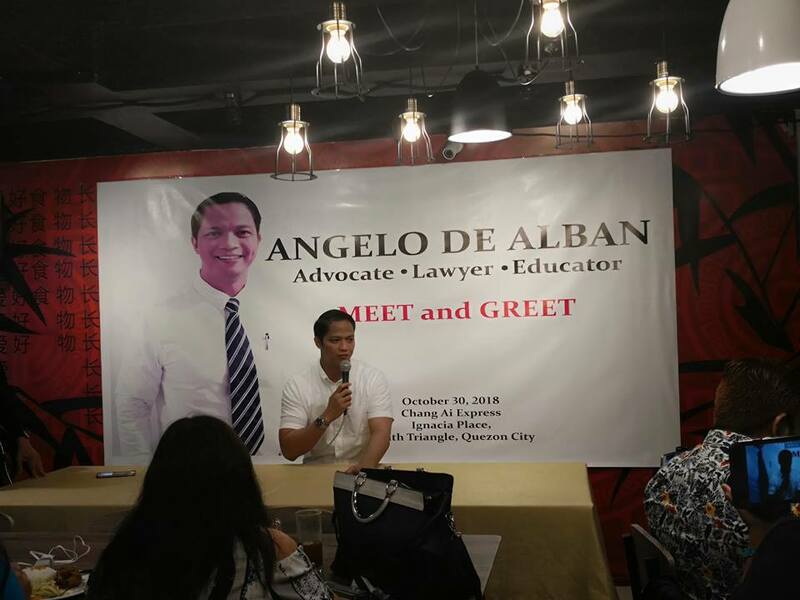 In 2019, Angelo De Alban intends to serve the public consistent with his advocacies on bio-health, agriculture and education. He would be the voice of the ordinary people often neglected because of under representation. He intends to be their champion at a time when the Philippines is facing crisis, one after the other—a divided nation, a country threatened with terrorism, a high inflation rate and rising cost of living. 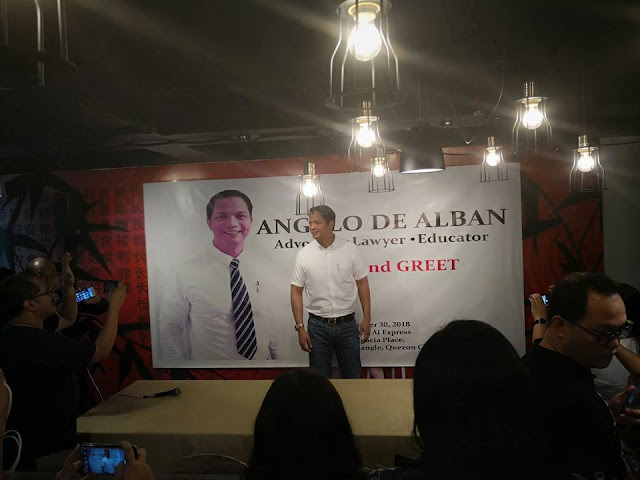 Senatorial candidate Angelo Castro De Alban was raised in Bulacan and grew up surrounded by people who are underprivileged. Due to his natural curiosity to heights, he had to undergo two head stitches surgeries for falling from three-floor high tree house and a mango tree. 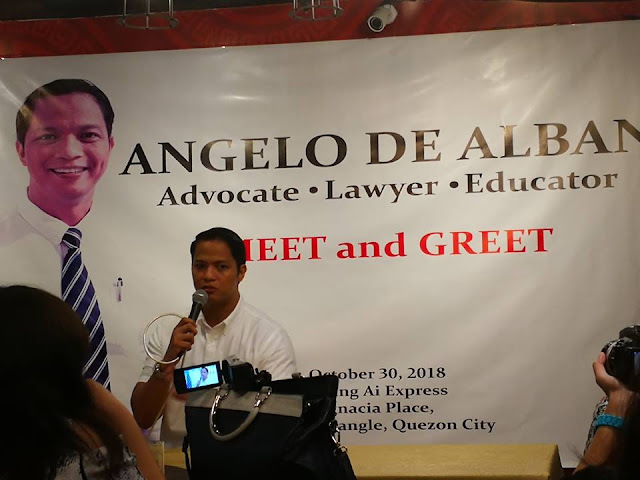 Angelo is from a family of lawyers and teachers. His grandfather is a lawyer while his grandmother is a public school teacher. His father is also a lawyer and his mother, a former flight stewardess and purser with Philippine Airlines, is now a public school catechist. All his three other siblings and sister-in-law are all teachers. 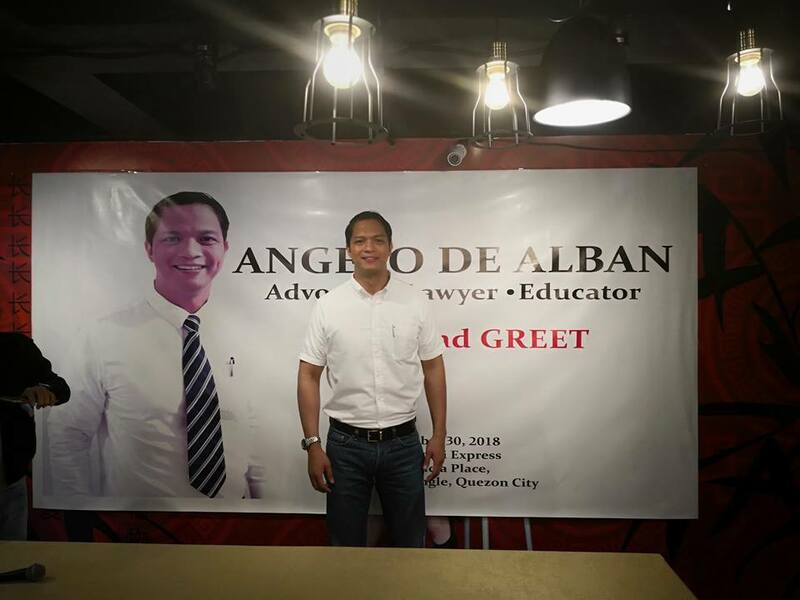 EDUCATIONAL BACKGROUND , Angelo graduated as the High School Student Council President of St. Marys College of Meycauayan, Bulacan in 1998. He proceeded to attend the University of Santo Tomas for his Bachelors Degrees in Journalism, Law and Masters of Law. While attending college, he was a member of the Chorale, varsity player for both basketball and football teams. He had his on-the-job training with The Manila Times. He was also a working scholar in UST and a part-time freelance ramp model during his college days. He also sold discount cards, writing articles for different magazines and rendering paralegal assistance to earn a living. He was a writer for The Varsitarian, the official student publication of UST. He had his law on-the-job training with now Supreme Court Justice Lucas P. Bersamin. 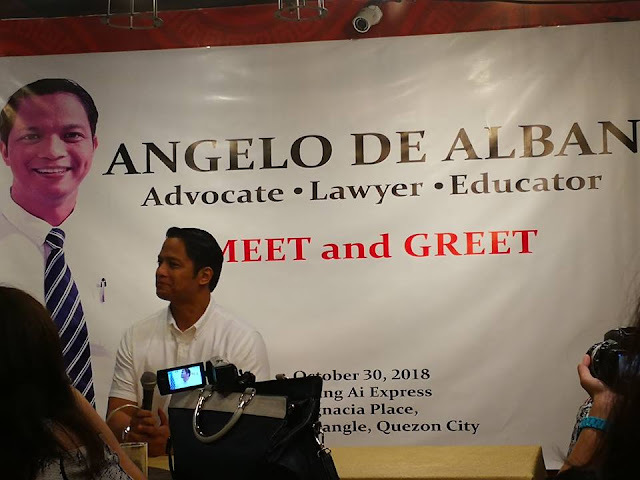 As a Lawyer: Angelo handles criminal-and civil cases around the country traveling to Cebu, Palawan and Cagayan De Oro regularly. He was the lawyer for a group of public school teachers in Laguna victimized by loan sharks and lawyered for at least 200 security guards and won almost Php 4 million settlement for them. As a Teacher: Angelo started teaching Philippine Constitution, Taxation and Tourism Laws in the University of Santo Tomas in 2008 up to the present. He married his former student. As a School Co-founder/Vice-President: In 2008, few months into teaching, Angelo co-founded with his family members a school for children with special needs. St. Philomena School: Kid's Comfort Zone, Inc. St. Philomena School is the only private school for special education recognized by the Department of Education in entire Bulacan.